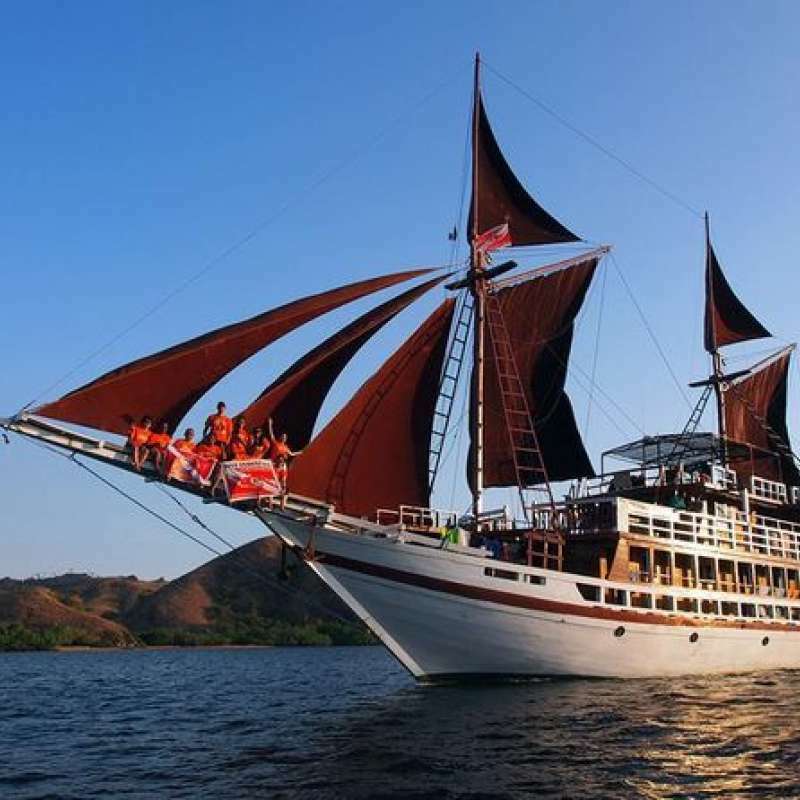 Seamore Papua sailing in the eastern part of Indonesia from Komodo area to Takabonerate, Ambon, Banda, Misool and Raja Ampat since 2015. Measuring 32 meters long and 7.5 meters wide, she cruises at 10 knots per hour and provides a 240 volt power on board. She was designed comfortably to accommodate up to 18 passengers. It is fully equipped with GPS, a radio communication system, a depth sounder and 2 life rafts. 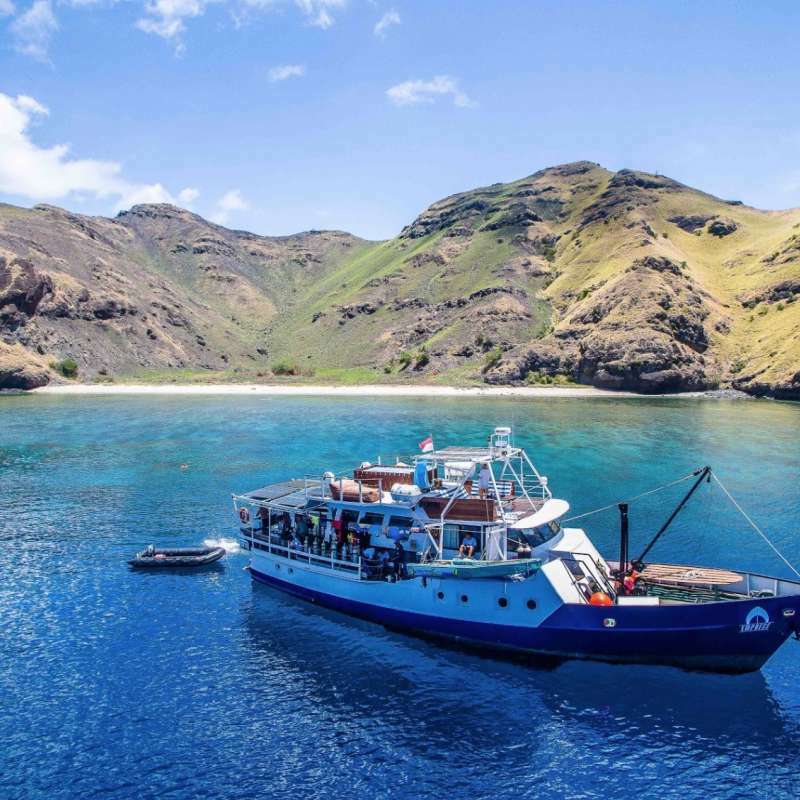 Seamore Papua is pecifically designed for liveaboard diving trips, it provides a dedicated dive-deck with gear-up stations assigned for each diver throughout the cruise. You will find on board 2 Bauer compressors as well as 30 tanks. Dives will take place from 2 speedboats including life jackets. Seamore Papua offers on its upper deck two dining areas, one indoor and the other outdoor. The top deck comes with a partially shaded sun deck including loungers when you can relax between two dives while enjoying beautiful views of the sea. All facilities on board have been upgraded for your safety and all crew members will always be ready to serve every guest to make sure that you feel pleasure and comfort during your stay. 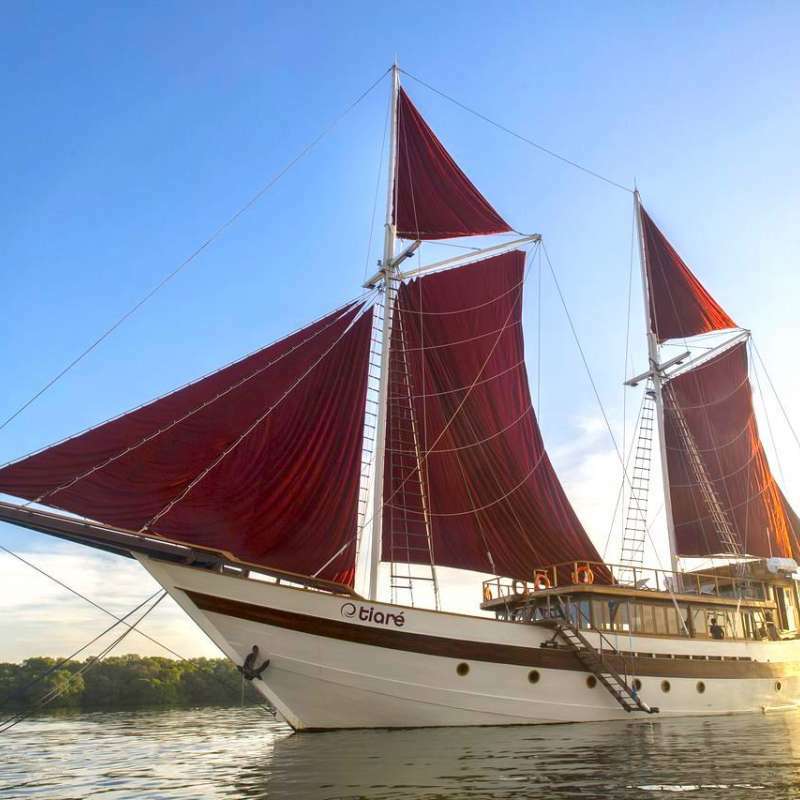 Seamore Papua has 9 comfortable cabins which can accommodate up to 18 guests. All cabins comes with air-condition, en-suite bathroom and hot fresh water. Located on the main deck, equipped with one double bed. Located on the main deck, equipped with two single beds. Located on the lower deck, equipped with one double bed. Located on the lower deck, equipped with two single beds. up to 4 dives per day, depending on sea conditions and route.